This article is part of an ongoing series, which you can find here. Today’s creatures look horrific. Or they would, at least, if they weren’t so small. 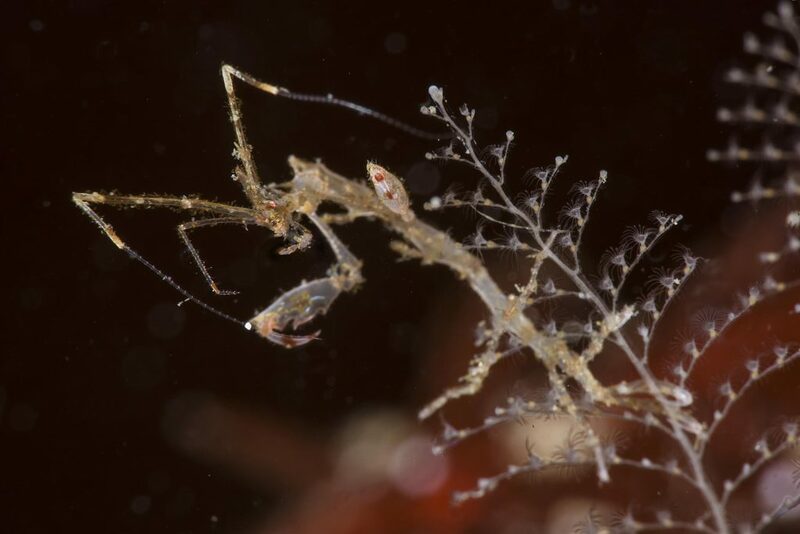 A long-range invader, the Japanese skeleton shrimp (Caprella mutica) is tiny, but their ability to colonise new areas quickly has made them a problem for other aquatic invertebrates since their first sighting in Norway 20 years ago. 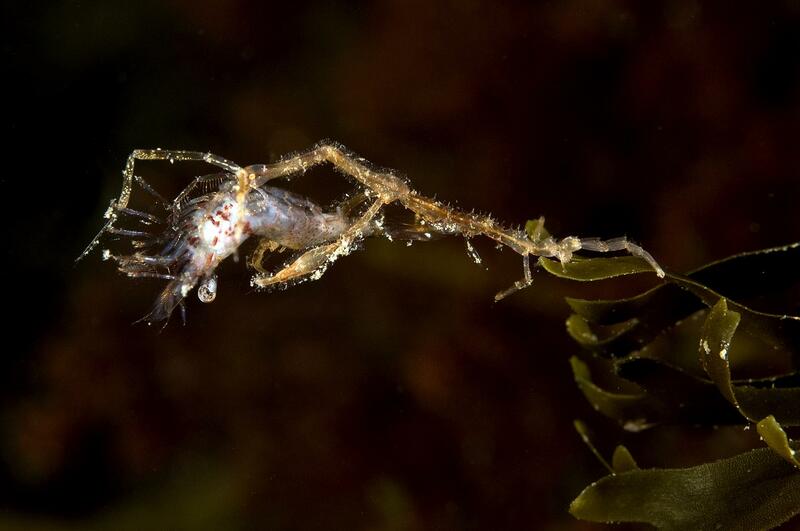 Also known as the ghost shrimp (they’re notorious on Tinder), they are a small marine invertebrate native to Japanese waters, and now present in much of Europe and North America. They spend most of their time hanging off macroalgae and human structures, and as such can often be found hanging around human establishments such as ports and jetties. Like most shrimp, they are detritivores, feeding on particles they filter out of the water. They reproduce very quickly, able to have their first offspring less than 2 months after birth. Smart money is on long range dispersal via ship ballast water, or clinging onto their hulls. This has seen the spread of many species that otherwise would have no chance of arriving in such far-off locations, such as the Crown-of-Thorns starfish to Australia. With the shrimp’s tolerance of a wide range of environmental variables, this means that they could potentially spread to South America and Australia in the near future (they have already been reported in New Zealand). They are now well-established all the way up Norway’s coastline. They outcompete local species, furthering the homogenisation of ecosystems worldwide. Once established in an environment, they tend to displace other shrimp species, unless the local environment provides enough diversity to form refuges for the locals. There are no widespread economic or social impacts, however there are concerns their population growth could impact on algae populations. Most of these efforts need to be preventative, in an effort to prevent further population growth and its effects upon native species, as eradication attempts have been largely futile. Cleaning human structures of filamentous algae before the summer breeding season may help, as well as increasing freshwater flow into ports to reduce salinity may help native species to avoid extinction. For more information on the shrimp, we invite you to read the following studies.